From the bestselling author of Charlie and the Chocolate Factory and Matilda! 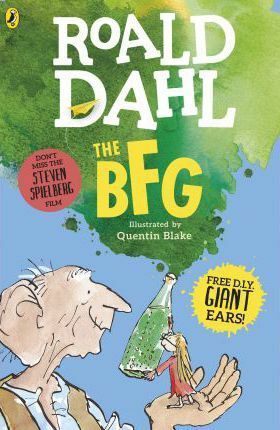 The BFG is no ordinary bone-crunching giant. He is far too nice and jumbly. It's lucky for Sophie that he is. Had she been carried off in the middle of the night by the Bloodbottler, or any of the other giants--rather than the BFG--she would have soon become breakfast. When Sophie hears that the giants are flush-bunking off to England to swollomp a few nice little chiddlers, she decides she must stop them once and for all. And the BFG is going to help her!